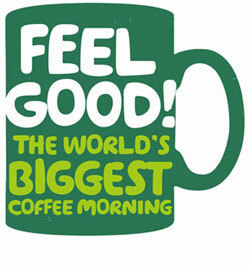 Friday 27th September 2013 is Macmillan’s Cancer Support ‘World’s Biggest Coffee morning’. This is their biggest fundraising event and we at New Road Dental are very excited to be holding a coffee morning where donations on the day are made to Macmillan. This is such a wonderful cause which is very close to a lot of people’s hearts. In 2012 115,000 people signed up to coffee morning, raising a record £15 million. This year we want to help raise even more money to help change the lives of people affected by cancer. During our practice meeting this Thursday 26th September, we thought we would do things a bit differently and hold our own coffee morning that day instead! All proceeds still obviously going towards McMillan Cancer Support. The idea is to bake (or buy…as most of our staff will just buy!) some cakes and have them in the staff room during the meeting. All of our staff will try and bake a cake (or two!!) and after making a donation, they can then help themselves to the treats. It should be great…eating cake (as part of a balanced sugar diet!) and giving to charity. Are you planning anything for the “Biggest Coffee Morning”?